At Emmersons Solicitors, we spend lots of our time behind the scenes to ensure that our clients receive fantastic customer service. We have invested thousands of pounds in state of the art case management systems meaning that we can act far more quickly in conveyancing matters. At the same time we are extremely thorough when it matters, that is, in making sure that the legal title that you are trying to acquire is perfect. This will mean very little to you until you find that with an imperfect title you may not be able to sell your home when you need to. Or it may mean that you can't access your drive because you suddenly find you have no legal right to do so. We also receive daily bulletins alerting us to the latest clever fraudsters tricks and we spend lots of time altering the way we work so that we can keep up with the huge amount of changes that take place in the conveyancing industry. We are annually vetted by the Law Society Quality Mark for Conveyancing team. In order to be awarded that Quality Mark we must undergo annual training and we must prove our commitment to following very strict criteria. In addition we have been awarded Lexcel which is a firm wide quality standard Mark. This involves the whole firm being audited for quality of service, it covers everything from how well we keep you informed about the cost and progress of your case to how well we deal with complaints. More recently we became members of Lender Exchange. We are one of the first firms in the country to be successfully vetted for membership. This is really important because eventually most lenders will join the scheme. They demand very high standards from us. In every case when a client needs a mortgage we must deal with their lender. The constant changes imposed upon us by the lenders are immense. Therefore lenders need to know that we can comply with their requirements. The reason for this is two fold; the lenders are still reeling from the effects of the recession and so the financial and background checks that we are expected to carry out behind the scenes on every transaction are ever more complex. Also every day fraudsters from across the world think of new ways to try to trick lenders, solicitors and their clients out of huge sums of money. Proving to a lender that you are one step ahead in this high speed game of chess is essential. In essence it means that you know that you are dealing with a well respected firm. Our investment in training and technology means that we can deal with your case much more quickly than in the past. Did you know that most of our Land Registry searches are dealt with in minutes rather than days or weeks. Having waited for long periods of time for searches to be returned to us over a twenty year period this still amazes me. We have staff that will take the time to thoroughly research the legal title that you are buying. We often correct mistakes that other firms make. Do you really want to overlook a legal mess just to keep someone else in the buying chain happy? We protect you the client in the biggest purchase of your life and yet we also manage to complete our cases in a very timely fashion. 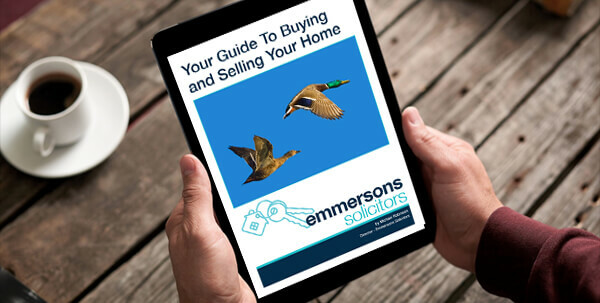 If you want a first class team to handle your Conveyancing Sale, Re-mortgage, Purchase, Help To Buy, Right To Buy, New Build or BuyTo Let transaction then look no further than Emmersons Conveyancing Solicitors.